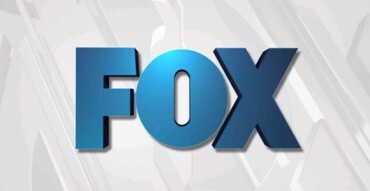 The FOX network has announced their plans for the upcoming 2012-13 season. The network is moving some shows around but hasn’t ordered that many new programs. Returning shows include American Dad, American Idol, Bob’s Burgers, Bones, The Cleveland Show, Cops, Family Guy, Fringe, Glee, New Girl, Raising Hope, The Simpsons, Touch, and The X Factor. New shows include Ben & Kate, The Following, The Goodwin Games, The Mindy Project, and The Mob Doctor. If you don’t see your favorites here, check out our list of cancelled and renewed FOX shows. PRODUCTION COMPANIES: Warner Bros. Television, Outerbanks Entertainment, Bonanza Productions Inc.
What do you think? What do you think of FOX’s new schedule? Are you interested in any of the new shows? This is the final season of Fringe. I’ll still be here for Sundays to watch Bob’s Burgers, the only good animated show left, but from the looks of it, that’ll be the only good show on FOX up until they decide to be unfair and dump it. Geez, there’s like, barely anything on FOX anymore. I’ll be watching Bones on Monday and Fringe on Friday (and others in my family will only be watching Bones, Fringe, and Touch). There’s The Following, but that won’t premiere till midseason. FOX cancelled pretty much all of their good shows and it’s sad. Those two new spy dramas they didn’t pick up look pretty good right about now. I won’t watch any new shows, they will cancel them anyway! I loved The Finder! They at least could have given it a ending. I’m sick of watching new shows and having them cancelled. They DID give The Finder an ending, it just wasn’t a happy one. Willa leaves everyone and everything to strike out on her own, the U.S. marshall lady loses her badge, and Walt gets arrested for locating someone in Witness Protection. He’ll likely end up institutionalized because not being able to find the forger has driven him insane. Looks like The Hider won when she hid The Finder’s ratings, huh? They should have saved time and just issued the followup press release that cancelled all these new shows. Fox is going to call itself the number one network based solely on the ratings for it three singing shows. Looks like Friday will be the only day I’ll be watching FOX. Touch and Fringe. Come Spring, I may not be watching FOX at all if they then cancel Touch and Fringe ends. Touch, Fringe, and Bones only great shows left after cancelling the Finder. Fox doesn’t have a clue to “Finding” and keeping good shows.